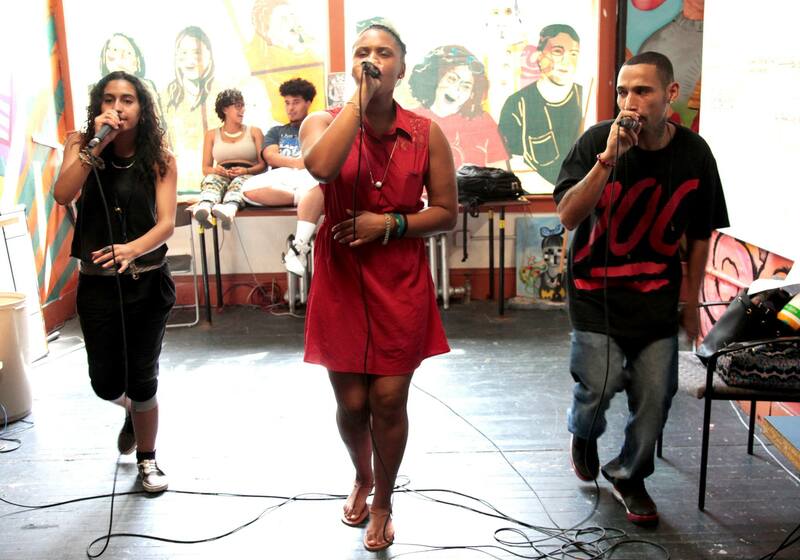 ZuKrewe is a performance troupe dedicated to spreading knowledge through the art of rhyme. We perform all over New England and work to drop at least one full original album a year. Any young person who can make the commitment to our team can join the ZuKrewe. The love and respect of art and each other. As220 youth current members and alumni. Performance, music, digital media, apparel, and visuals crews make up the entire Zukrewe. What will Zukrewe’s performance at Foo Fest consist of? Could you briefly explain the ever evolving Future Worlds concept? Future Worlds is what we want the world we live in to look like for ourselves and those around us. Does the Zukrewe performance at Foo Fest connect to Future Worlds 3.0? Yes, it is a preview to the whole show t hat will happen in September. What will Future Worlds 3.0 be all about? It is a Utopia of the world that was created for 2.0. Future Worlds 3.0 is a safe haven, a peaceful and free world that we all live in.